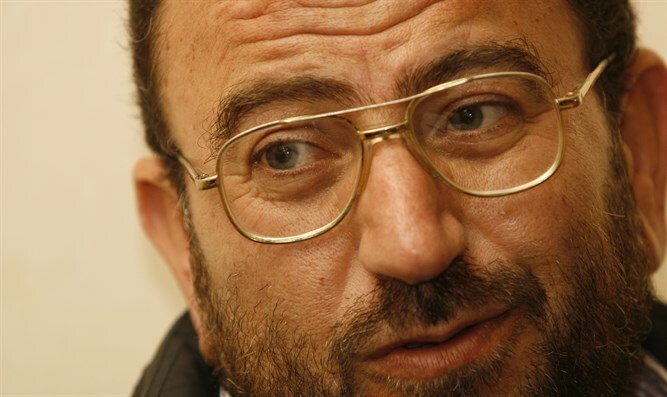 Senior Hamas terrorist Salah Al-Arouri is reportedly living in Hezbollah's stronghold in Beirut. Senior Hamas terrorist Salah Al-Arouri and other senior members of Hamas are living in Lebanon under the auspices of Hezbollah, Channel 2 News reported on Monday. Arouri, who is considered the most wanted Hamas terrorist, is responsible for directing terrorist squads and ordering attacks in Judea and Samaria. He had been living in Qatar but was asked to leave the country in recent weeks, following the crisis between Qatar and its neighbors. Arouri was believed to have lived in Turkey, but Hamas said in December of 2015 that he left Turkey due to “internal considerations” by the group. Palestinian Arab sources confirmed to Channel 2 News on Monday that Arouri, along with two other senior Hamas terrorists, had found a home in the Dahieh suburb of Beirut, a Hezbollah stronghold. A month ago, after the Gulf states cut their ties with Qatar due to its support for terrorism, the Al-Mayadeen network reported that Qatar had given Hamas a list of names of members of the organization who were required to leave the country.